It remains true, however, that income-bearing assets are the keystone of a pension portfolio, providing for a time of life when a secure income stream is vital. In simpler times, a pension portfolio would be divided between higher quality equities and bonds. We now have more choice, which is generally considered to be good. 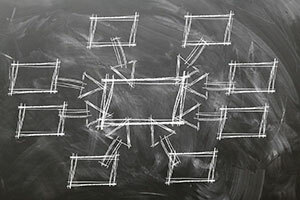 But with increased choice comes increased complexity, and this creates pitfalls for the unwary. The income return on an asset is known as the yield. It is normally expressed as an annual percentage of an asset’s cost. In general, as the cost of an asset increases, its yield will decrease: if you pay more for the same income stream, the value of this income as a percentage of its cost will fall. Yields vary widely across different asset classes, determined by such factors as risk, liquidity and potential for capital growth as well. Over the past decade we have seen two contradictory processes at work: the reduction of the yields available from traditional income-bearing assets, alongside an increase in the variety of income-bearing assets. The former has very much catalysed the latter, as investors have sought higher-yielding alternatives in a lower-yielding world. This reduction in yields has been driven by quantitative easing and the maintenance of historically low real interest rates. Central banks (such as the Bank of England) have bought government bonds and other assets on a massive scale prompting large increases in the cost of these assets, and therefore corresponding reductions in their yields. 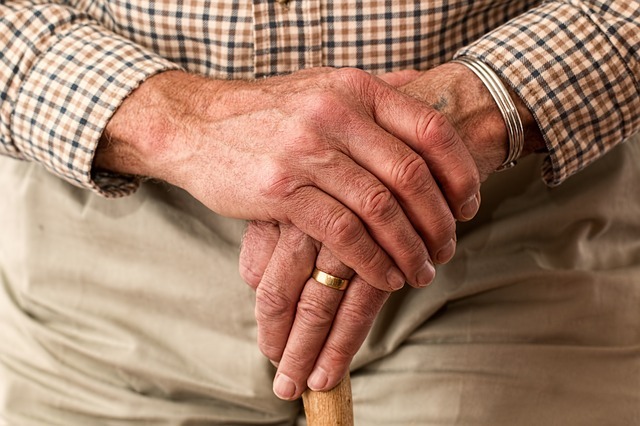 This has been exacerbated by aging populations in the developed world, with a greater proportion of the population seeking secure incomes in their retirement, which has further enlarged the market for interest bearing assets. Cash: There’s a story that when Alec Guinness got his surprisingly large check for playing Obi Wan Kenobi in Star Wars, he popped down to his local Post Office and put it into his PO savings account. Sir Alec lived very happily on the return. That, the capital and all the other films he’d done, we suppose. You won’t be able to do that now. The UK base rate is 0.25%. Savings accounts pay, at best, a nudge above 1%. Money market funds: These invest in cash and near-cash equivalents, and pay a little more than savings accounts. They are generally held to be as safe as cash, but this is not necessarily the case, as some funds lost money during the global financial crisis. Government bonds: While you can buy these directly, you’ll like as not hold them in some form of collective investment fund. UK pension funds have to hold a certain proportion by law, which also acts as an artificial support for the price. At the start of the 1980s, the yield on a 10-year UK government bond (gilt) was about 15%. Now it’s little more than 1%. On the positive side, government bonds are highly liquid, or easy to trade in and out of. The UK government also issues a minority of its bonds linked to the Retail Price Index, giving their owners some inflation protection. Investment grade bonds: This is debt issued by high-quality companies as you might find in the FTSE 100. The highest graded are rated AAA, down to BBB- by specialist rating agencies indicating their relative risk. Again, while you can buy an individual bond, this is uncommon in the UK, where your holding is most likely to be through a fund. These are generally thought to be relatively secure (depending on the rating), if riskier than government debt: companies, even big ones, are more likely to default than governments. UK investment grade indices are currently yielding less than 3%, before you consider the cost of the fund managing your bond holding for you. High-yield bonds: Again these are bonds issued by companies, and are rated as riskier than investment grade bonds. They used to be referred to as ‘junk bonds’, but familiarity and perhaps clever PR has seen a rebrand. As a riskier investment, high yield pays more than investment grade (hence ‘high yield’). However, investors need to be aware that the value of these bonds is much more volatile and can more in step with equity issued by the same company, so it might not be advisable to hold too high a proportion of these in your portfolio. The weighted average yield for European high yield last year was 5.3%1, although top-performing funds have beaten 15% on a total-return basis over the past year through security selection and actively timing the market. For any of these bonds, you are only certain to receive your money back if the borrower does not default and you hold the bond until it matures as opposed to selling it to someone else beforehand. However, you are likely to hold these bonds in a fund where repayments are constantly reinvested, so your value is dependent on the market, and the riskier the bond, the more volatile this will be. Property: There are many ways to invest in property, from your own buy-to-let to retail commercial property funds. Outlining each one could easily be an article in its own right. Here, though, suffice it to say, that this is a more illiquid asset than the ones above – meaning you may not be able to get out of it when you need to. On the positive side, unlike fixed-income assets, there is the opportunity to make capital gains as the value of the property increases. The capital value can also, of course, depreciate. The government has made strenuous efforts to make buy to let investing less attractive for private individuals to reduce the chances of a housing market bubble. Famously, retail property funds were obliged to refuse investors withdrawals immediately after the Brexit vote as their cash holdings ran dangerously low. UK commercial property yields currently run between 2 and 6%, depending on the sector. With capital appreciation, the average return for the Investment Association’s Property sector was 7.9%, although this is not solely UK-based. And, while five-year returns have been nearly 47%, the 10-year returns are just shy of 10%, denoting heavy losses during the financial crisis. Equity income: In short, shares that pay a dividend – generally taken to be at least 10% above that of the FTSE100 index, which is currently yielding about 3.7%. Investors can build their own portfolios, although over the past couple of decades investing via funds has become the main route for individuals. Indeed, the Equity Income fund sector is seldom out of the top three selling sectors. It’s worth noting that while five-year returns in the IA Equity Income sector have been a very healthy 69.9%, 10-year returns are lower, at 65%2, again indicating heavy losses during the financial crisis that have taken a long time to recoup. So equities do come with both the potential for capital growth in addition to their income yield, but with the potential for substantial volatility. Alternative lending: Yields tend to be higher, with data provider AltFi recording 4.85%3 for its UK index over one year and ThinCats returning between 7 and 8.5%* AER. Comparing different platforms is very difficult as there are not the equivalent of public rating agencies as there are for bonds. Though secondary markets for many of these (like ThinCats loans) do exist, loans are generally held to maturity, so volatility is less of an issue than bonds, although the flipside of this is that selling a loan when you want to will be more difficult. On the other hand, many loans repay the capital borrowed regularly rather than in a lump sum like a bond maturity. Even so, care needs to be taken not to invest money that might be needed unexpected. In the next article in the series, we will drill down into alternative lending, and look at how one avoids capital erosion. If there’s any issue you would like us to address, please drop us a line at newsletter@thincats.com. *Estimated weighted average annual interest after all costs and provisions for losses of actual defaulted loans after forecasted recovery of security but before income tax (2012 to date). Past performance is not indicative of future results. Capital is at risk. ThinCats’ comments on the impending election in the last newsletter have stood the brief but tumultuous test of time better than the vast majority of commentators. Our understanding of the limits of our own expertise in hindsight seems a rather fine call. Post-election analyses are often of the “now the dust has settled” variety. But after this one, there’s arguably a sandstorm in the offing that would scare the bejayzus out of the hardiest Tuareg nomad, so any remarks here may need to be of a slightly more provisional nature. The Queen’s Speech normally gives a decent indication of what is in the pipeline. This one, in contrast, was probably not worth getting the dust sheets off the royal carriage for, so thin was it. 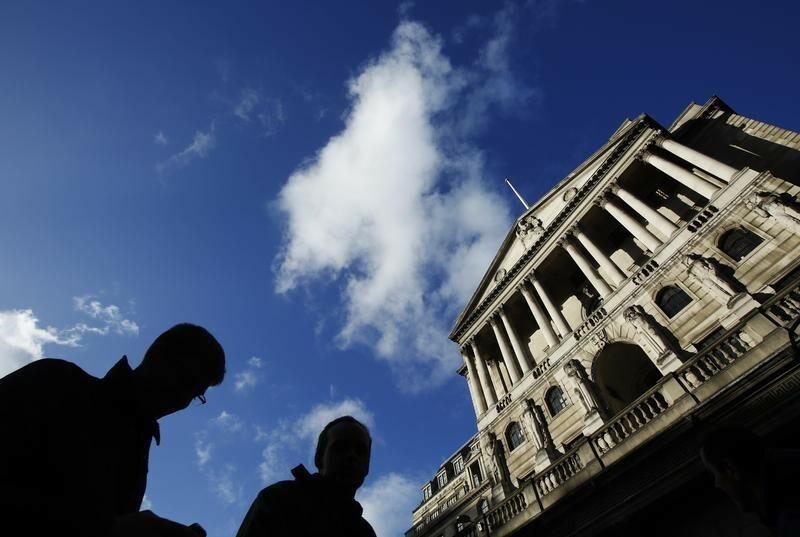 A better indication of what investors can expect over the coming period can be gleaned from the latest minutes of the Bank of England’s Monetary Policy Committee (MPC). The minutes give an indication of the terrain on which investors must operate. The week after the election it decided, by the surprisingly thin majority of five to three, to keep rates at 0.25%. That’s good news for bond investors, though with a more marginal impact on those fixed-income investors, such as P2P investors, enjoying higher yields. Of equal importance is the MPC’s decision to maintain its stock of corporate and government bond purchases at £10bn and £435bn respectively. This will keep yields low in these asset classes, feeding through into other fixed income markets, as yield-hungry investors are forced to broaden their horizons. The economic uncertainty ushered in on the back of our political instability means that any increase in base rates have been put off once again. On the other hand, inflationary pressures are such that three members of the committee voted for a rate rise. May’s rate was 2.9%, with expectations that this could break 3% by the autumn. Sterling weakness has been the major culprit. If sterling stops its slide here, then this effect will drop out. The danger is that it persists. The UK’s weak hand in Brexit negotiations, and the currency’s continual slide since last June, indicate that this danger is palpable. It seems a shock to many in the UK negotiating team that a country with a GDP of $2.8 trn may not be on an entirely equal footing with a 27-state bloc of $13.7 trn, but in reality it should only surprise those still wondering when the £350m a week for the NHS will turn up. The UK is unlikely to be able to demand terms favourable to it during the negotiations, so sterling weakness may be with us until terms are agreed. UK equities have been a beneficiary of this weakness, as foreign investors are attracted to cheaper UK assets in local currency terms. UK-based investors have seen the value of their domestic equity holdings rise, but need to be aware of the thin foundations of the rally. Overall, it seems likely that, while rates may raise, they will not do so by much. Bond yields will remain historically low, with political risk underpinning volatility in equity and bond markets. Well-positioned or innovative UK business will find opportunities in this climate, but it is one of greater risk. ThinCats has invested heavily in our quantitative and qualitative credit analysis, and we are therefore confident in our ability to continue to offer correctly-priced loans at acceptable levels of risk, rejecting those we do not feel meets these standards. This is, however, an environment of elevated risk, and investors need to ensure they have a well-diversified portfolio of loans that fit their requirements. If the adage ‘where there’s muck there’s brass’ holds true, you would expect high-value muck to generate even more brass. CliniPower deals in high-value muck – or muck equivalent. 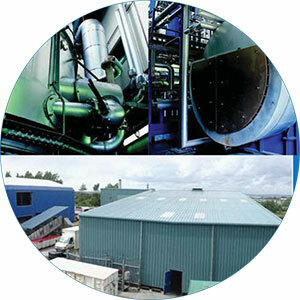 It operates a clinical waste advanced thermal processing plant at Avonmouth near Bristol. In other words, it gets rid of contaminated waste with very low environmental impact. Pollutants normally associated with incineration are either destroyed or not produced, so this business is very sustainable. The plant can handle 8-10 tonnes of clinical and pharmaceutical wastes per day, on a continuous basis. The system works rather like old-fashioned charcoal making – high heat, low oxygen. Except here, the temperatures are much, much higher, and the result is a black powder, which can be disposed of with much lower environmental impact than landfill disposal. Another by-product is steam. CliniPower had initially had the idea of using this to generate electricity, but have moved on to using it to power an on-site steriliser. The company needed loan capital to pay off an expensive lease refinancing deal, buy the steriliser in question, plus stock up on spares to hold on the premises. CliniPower CEO, Nic Cooper, sought non-bank financing from the outset: “We’d rather lost confidence in the banking system,” he says. CliniPower was introduced to Central Union (CU) via contacts at Organics, who had worked with the sponsor before, and are working with CliniPower on the steriliser supply. CU, in turn, brought the proposition to ThinCats. CliniPower borrowed £750,000 at 10.5% interest over three years, with a two-star credit rating and three-padlock security rating. The loan was in two tranches: the first for £500,000 fully amortised over the life of the loan, the other £250,000, interest-only with a bullet repayment. It was fully underwritten by ESF. Nic summarises the ThinCats loan as having “tidied everything up, and given us a leg up”. ThinCats’ mission – to attract more business introducers in order to broaden the number and range of deals on the platform – is bearing fruit. We have had a steady stable of Sponsors almost since inception, and they have done us proud. About ten sponsors have been actively involved with ThinCats over this time, but we have long recognised that there is a vast underserviced reservoir of UK SMEs in need of loan capital, not being serviced by traditional lenders. This, in turn, translates into a diverse and attractively-priced range of loans for our lenders. Our model is based on working with business intermediaries to tap into this market. Over the past year or so we have been recruiting an experienced origination team, spread throughout the UK, to make this happen. And happening it is. In the year to date, 96 new introducers have brought us nearly 200 leads that have converted into loans amassing £8,097,000 in new business so far. The loans have been diverse and varied, ranging from £220,000 for the MBI of a motor repair centre, £788,000 working capital for a renewable energies producer, £1million for refinancing of a civil engineers business and £2million development capital for an education provider. This is just the start. We are building momentum, and we expect you to see the benefits of this over the coming months.